"The stone the builders rejected has become the cornerstone." O.V. 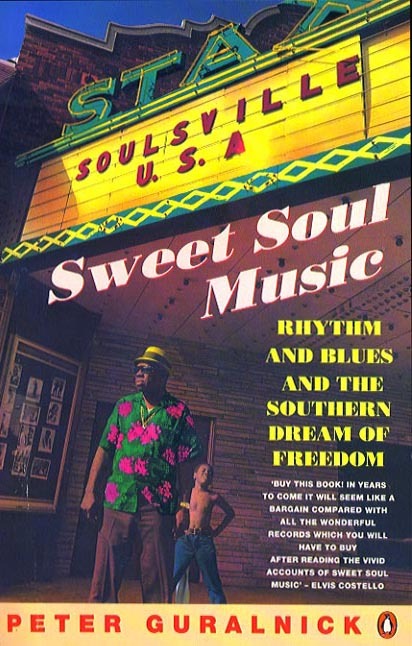 Wright - Giant Of Southern Soul is, quite simply, the most comprehensive and in-depth article ever written about O.V. 's life and times. It first appeared in Juke Blues Magazine in the Spring of 2000, and has now been made available here, for the first time on the internet, with the gracious permission of the author, Ray Ellis. Considered by many to be the greatest soul singer that ever lived, O.V. Wright died tragically in the back of an ambulance on November 16, 1980. He had been lying in an unmarked grave ever since. The O.V. Wright Memorial Fund was formed earlier this year, and collected donations from people around the globe who joined together to help place a monument at his final resting place in Memphis. We were able to raise over $2000, and dedicated the headstone selected by his family on the twenty eighth anniversary of his death - Sunday, November 16th, 2008. As part of a weekend long tribute to O.V., we put together a series of other events to co-incide with the dedication ceremony, as outlined above. The concert on November 15th served as the inaugural fundraiser for a new organization called The Soul of Memphis Foundation which, as an outgrowth of the Memorial Fund, will strive to continue the work we've started here together. Our purpose from the beginning has been to help preserve the legacy of Memphis Soul by honoring the past and doing our part to preserve its rich history for future generations. The incredible outpouring of love that we received from the soul community down in Memphis let us know that we are on the right track. Please consider making a donation to this worthy cause. 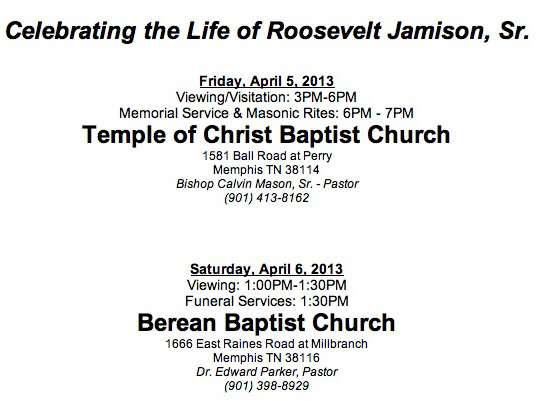 As you may know, the Memorial Fund sponsored a series of events leading up to the dedication of O.V. 's monument on November 16th. Folks flew in from all over the world to be a part of it. Our kickoff event was a tour of the venerable Royal Studio, the place where O.V. 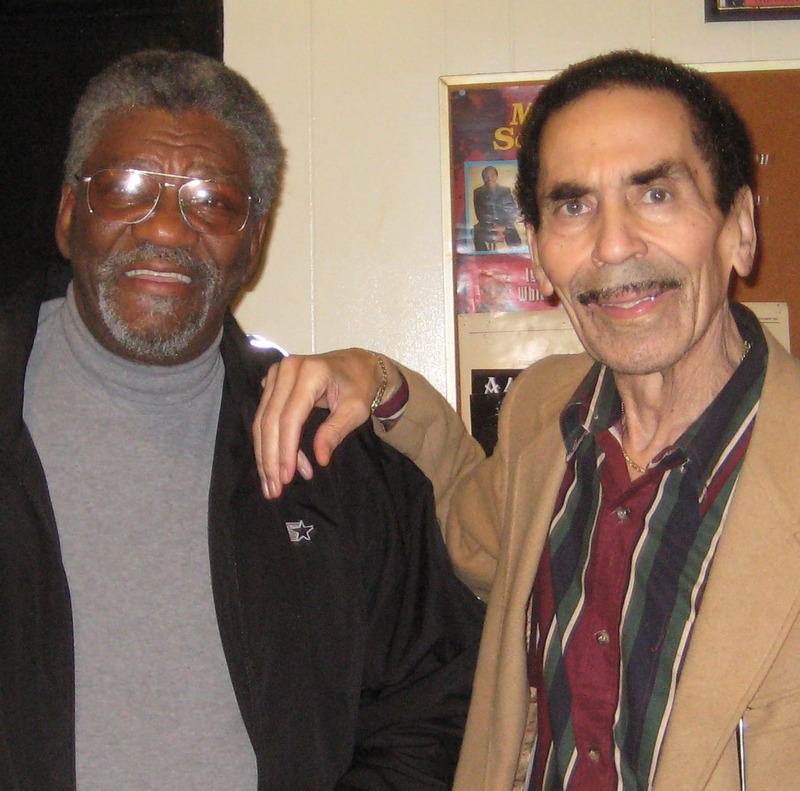 recorded all that soul, where we got to hang out with his producer, the one and only Willie Mitchell. Despite continuing health problems related to the broken ankle he suffered in February, Willie welcomed us with open arms. The tour was led by his grandson Boo, who showed us around the still operating studio, which remains exactly the same as it ever was. Very cool indeed. Although 88 year old Quinton Claunch was unable to make it, Roosevelt Jamison and his lovely wife Linda were our guests at the Goldwax Rendezvous luncheon the following afternoon. Roosevelt shared his memories of those days at the Blood Bank with O.V. and James Carr, and gave us a taste of his beautiful poetry. The laminated bookmarks Linda made up for everybody are just awesome! Next up was our after hours tour of the Stax Museum of American Soul Music, where media director Tim Sampson was kind enough to let us roam around and check everything out. A truly amazing place, even those of us who had been there before found something new and exciting... like the O.V. album they have displayed as part of their Goldwax exhibit. A great time was had by all. The crowd was buzzing at the Ground Zero as we packed the house for our O.V. Wright Night benefit concert on Saturday night. It seemed like the whole town was on its ear, as both WDIA and WRBO did their best to spread the word that this was definitely the place you wanted to be. It felt like a great big reunion, as members of O.V. 's family connected with people they hadn't seen in years, like the 1956 class O.V. graduated with from Mt. Pisgah High School. It felt like a reunion up there on stage as well, as Hi Rhythm kicked it off joined by a veteran horn section led by none other than 'Mister Last Night' himself, Floyd Newman. O.V. 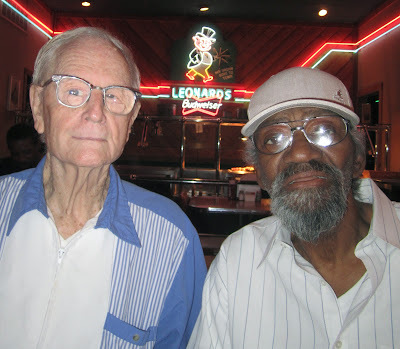 's son Overton DeWayne wowed the crowd with Don't Let My Baby Ride, before Hi vocalist Percy Wiggins took over the microphone and brought it on home with songs like The Bottom Line, You're Gonna Make Me Cry and Lost In The Shuffle. Next up, Otis Clay showed why he's one of the most respected soul singers ever, laying it all out on smoking versions of songs like Blind, Crippled and Crazy and A Nickel and a Nail, then holding the crowd in the palm of his hand during deep numbers like When You Took Your Love From Me. Otis' impassioned vocals gave way to Charles Hodges' incredible solo during Precious, Precious, and together they just brought down the house! Perhaps the most moving moment of the whole evening, however, was when special guests The Masqueraders took the stage and performed a stirring rendition of The Old Rugged Cross. We had us some Church up in there, folks, let me tell ya. One of the most under-rated vocal groups of all time, these guys can really sing. There wasn't a dry eye in the place! Sunday, November 16th was the 28th anniversary of O.V. 's passing, and we gathered out at the Galilee Memorial Gardens to dedicate his new monument together. With his extended family all around us, this represented the culmination of the Memorial Fund's efforts, as we paid tribute to this great man. The star of the entire weekend was, without any doubt, O.V. 's older sister, Ada, who told us of her enduring love for her 'singing baby' of a brother. It is a love that will live on forever, a love she was willing to share with those of us lucky enough to have been there in that special place with her. All of O.V. 's beloved family, The Mitchell family, The Hodges family, The Grimes family, The Wiggins family, Archie Turner, Otis Clay, The Jamisons, The Masqueraders, Floyd Newman, Mickey Gregory, Tommy Lee Williams, Darryl Carter, Quinton Claunch, Tim Sampson, Al Davis, Morgan Freeman, Bill Luckett, Roger Stolle, Don Wilson, Jud Phillips, Hi Records, Chris Kourdevellis, The Memphis & Shelby County Music Commission, The Memphis Convention & Visitor's Bureau, WDIA, WRBO, Bob Mehr, Jesse Drucker, Andria Lisle, Ira Padnos, The Memphis Flyer, Monica Jackson, The Doubletree Memphis Downtown, Pop Tunes, Shangri-La Records, Jared McStay, Eric Hermeyer, Paul Pollman, Hot Graphics, The Mt. Pisgah Alumni Association, Julius Bradley, Chase Thompson, Charles Paige, Coffee Al, and everyone who cared enough to come to the concert or become a member of the team. Please click here to view a photo gallery and slideshow of pictures taken by our team members. Please click here to view some video taken over the course of our tribute weekend, as well as some vintage footage of O.V. Please visit our new guestbook page and tell the world all about it! 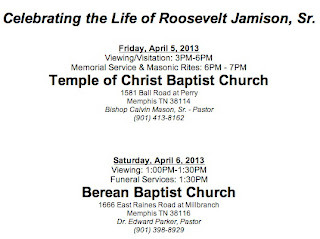 Tribute Weekend Gives Soul Singer O.V. Wright Overdue Recognition - by Bob Mehr in the Commercial Appeal. Tribute to a Tortured Soul Singer - by Jesse Drucker in the Wall Street Journal. Considered by many to be O.V. Wright's best album, the long out of print Memphis Unlimited has been released on CD for the first time ever by the good people at Reel Music. 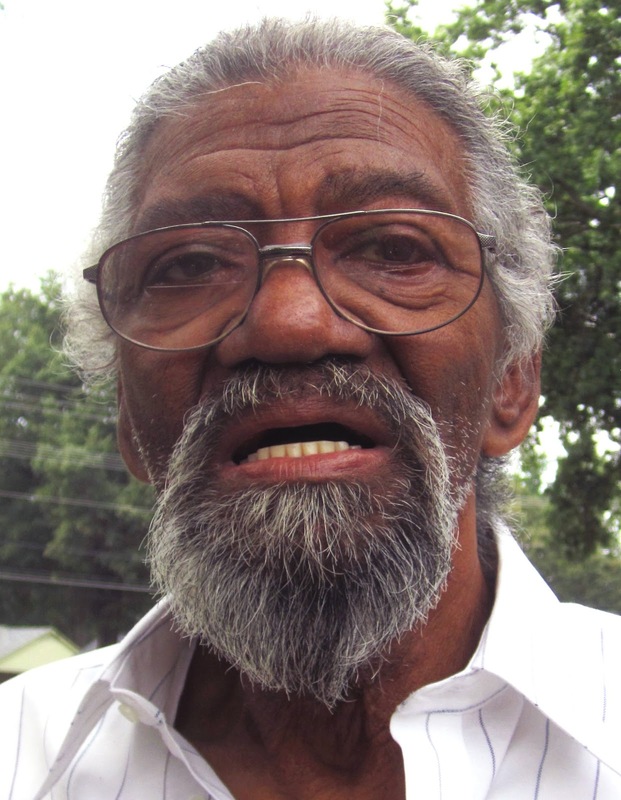 By the time Memphis Unlimited was released in 1973, O. V. Wright had been a star in the ghetto for almost a decade. His searing, uncompromising vocals had featured on 10 R&B hits and his Back Beat label had issued four previous LPs - an excellent run of both artistic and commercial success. But this new album was different from its predecessors. It was the first time that Wright had recorded an LP as an entity, rather than had one released as a collection of tracks already in the can - and the difference is marked. Memphis Unlimited has a coherence that his other LPs lack and has no fillers to detract from the quality. 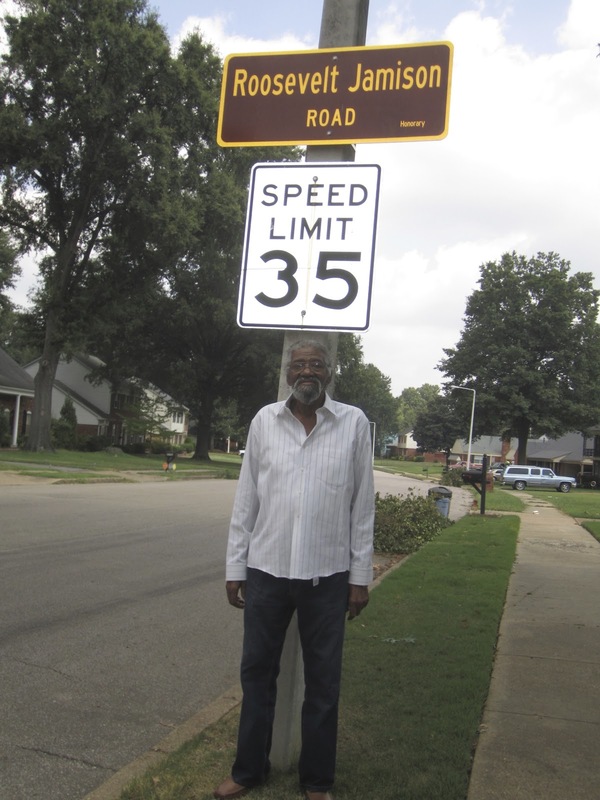 Wright's long time producer Willie Mitchell was currently the hottest studio man in the South, fresh from multi million sellers on Al Green, and the fabled Hi Sound he developed was now a mature and fully acknowledged musical achievement. Wright himself was at the height of his formidable vocal powers, scorching on the ballads that were his trademark, swinging on the dance cuts. That combination makes this album the most accessible and commercial of all of Wright's Back Beat sets without any compromises at all to his traditional strengths. It remains one of the key Southern Soul albums and its re-release here is long overdue. 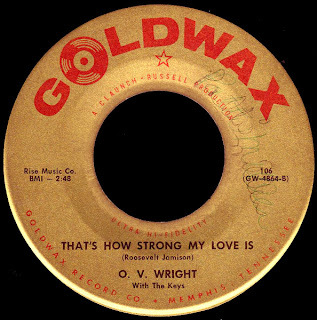 O. V. Wright - the Boss of Southern Soul at his very best. Now available at Dusty Groove for only $10.99, this is one purchase you really need to make. We welcome any and all contributions. Submit yours today! As you may have noticed, we recently added audio to our site. If you click on any of those little 'play' buttons underneath the label scans on the right, it opens up an audio player that allows you to listen to the rest of the 45s as well. As always, clicking on any of the singles takes you to a page where you can read what Red Kelly had to say about them. Copyright © 2009 by The O.V. Wright Memorial Fund. All rights reserved.